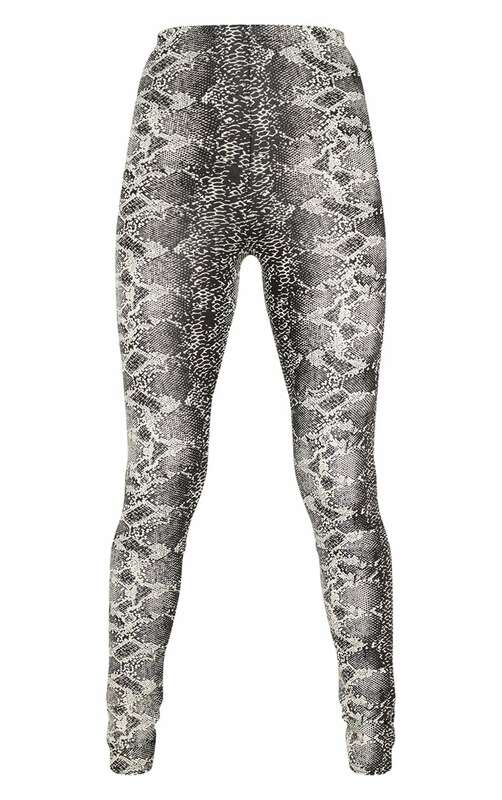 Make a statement in these bold leggings. Featuring a black coated material with a snake print design and an elasticated waistband. Team this with a vinyl bodysuit and barely-there mules for a totally fierce look.